Many people ask “Why can’t I feel the Earth spinning?” Or “Why don’t we feel the rotation of the Earth?” The answer is that the Earth is so large and we are so small in comparison that we just get carried along for the ride. Q: If the Earth is spinning why can’t we feel it? A: The Earth is gigantic and we are tiny. It’s hard to imagine just how large the Earth is and just how fast it is carrying us around in its daily motion. 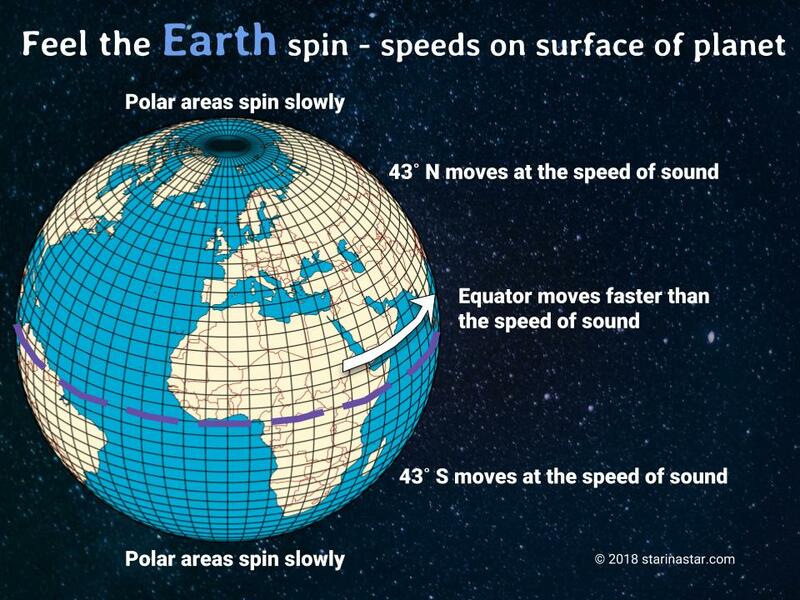 How fast is the earth spinning? You are about to learn the answer and learn how to experience this speed! Our inner ear is not sensitive enough to feel the gradual changes in momentum caused by Earth’s constant turning. Imagine riding in a fast car that has no windows. The car cruises on a smooth highway at 100 kph (62 mph). Inside the car we chat with our friends, the seats are comfortable, and maybe a hot drink sits placid in a cup holder. We don’t feel the motion at all unless the car turns or speeds up or slows down. Everything seems to be staying still but this stillness is an illusion. All of this stuff in the car is moving along with us at the same speed. But, if you could open a window in the car you would see the motion of the other objects not in the car. The sky is our open window to find those other objects that are not “on the Earth.” We will use them to explore the Earth’s speed and movement. Another reason that we can’t feel the Earth spinning is because our sense of balance. We get this sense from organs of the inner ear. We know what it feels like to move. We can feel a car accelerate and turn – but these sense organs don’t help us feel the Earth’s changes in speed and constant turning. It’s easy to feel and then believe that the Earth stays still and everything else moves around us; the Earth doesn’t seem to be moving. The idea of a moving Earth seems preposterous. It’s no wonder it took humans so long to figure out that the Earth is spinning and moving! However, you can learn a surprising way to feel the rotation of the Earth – and it has to do with the speed of sound. You can “feel the Earth spin under your feet” and all it takes is a little bit of imagination. The speed of sound in air is 1235 kph (767 mph). This is really fast, but it is still a visible and imaginable speed. The speed of the Earth’s rotation at the equator is faster than the speed of sound! But, because of the Earth’s shape, the Earth’s rotation speed is exactly equal to the speed of sound at two latitudes on the Earth: 42.97 North and 42.97 South. What does this mean for you and your approach to physical astronomy? You have to train your brain to see the speed of sound, then you will be able to feel the Earth spinning. You will understand that the speed of sound is the speed of day. The fastest plane you’ve ever seen is traveling a bit slower than the speed of sound. Imagine the fastest jet plane you have ever seen. Unless you were watching a fighter jet, that jet was not going at the speed of sound. Commercial jet planes travel about 250-350 mph below the speed of sound. Echoes, echoes, echoes… The speed of sound can be heard and easily visualized by exploring sound echoes that bounce off walls, fences, hillsides, and other objects. Large fields. Go to a large field (as big as a football field or bigger) with a friend and ask them to clap. You will see your friend’s hands clapping and then hear the clap. Stadium concerts. You can experience the speed of sound at big stadium concerts where you can see the drummer hit the drums but the sound is not in synch with what you see. Lightning and Thunder. 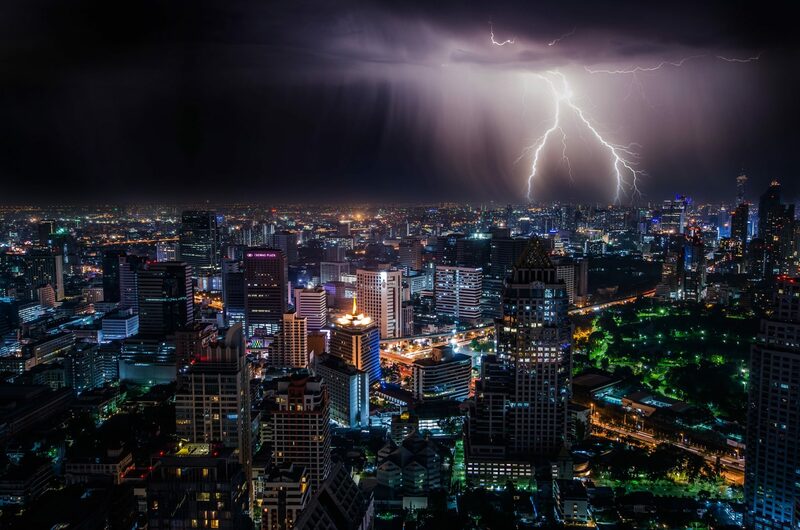 You can feel the speed of sound when you see the flash of distant lightning and you don’t hear the boom of thunder for several seconds. Every 5 seconds is about 1 mile. Fireworks. You can witness the speed of sound when you are watching fireworks and you hear the bang of the explosion after you see the light of the explosion. Videos. Finally, there are several good videos online that can help you visualize the speed of sound (links below – includes a clever piece from the Exploratorium in San Francisco). How fast is the Earth spinning? Once you have a clear idea of how fast sound goes, you can get a clear idea of how fast the Earth is spinning – and by experiencing this speed you can easily imagine just how incredibly large the Earth is. One way of visualizing the speed of the Earth’s rotation is to imagine that a gigantic bell rings each time the Sun enters a new time zone. 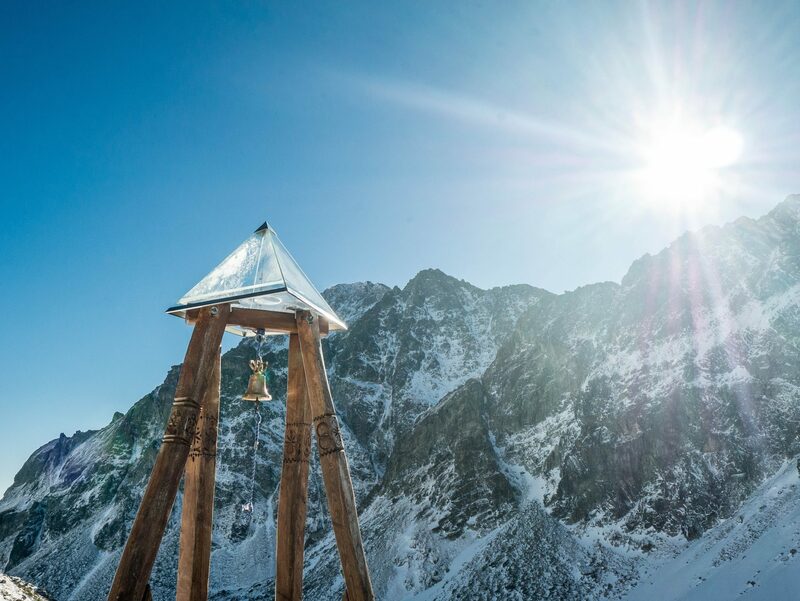 Imagine that there is no sound loss over distance and the sound of that bell can be heard across the whole time zone (up to 1000 miles). When this bell rings, the sound takes time to travel. It will travel at the speed of sound: 767 miles per hour. Bangor, ME and Detroit, MI – two American cities on opposite ends of the eastern US timezone – are 1183 km (735 miles) apart. The sound of our imaginary bell takes about 1 hour to travel between these cities. Since these cities are near 42.97 N latitude, the Earth takes about 1 hour to spin underneath the Sun. Why can’t we feel the Earth spinning when it is moving faster than the speed of sound? Sound, which seems quite fast, is actually slow enough to “see” it moving. Once you can see the speed of sound you have seen the speed of the surface of the Earth. The Earth rotates once per day. People at the equator are moving at faster than the speed of sound, people near the poles are moving slower than the speed of sound. People living at latitude 42.97 N and 42.97 S are moving at exactly the speed of sound. Editor’s Note: Credit goes to Bob Berman (aka SkyManBob) for first pointing out the latitude/speed of sound correspondence to me. I first learned about this idea in his fantastically engaging book Zoom – How Everything Moves. It has a footnote in Chapter 5 that says people at Coney Island are moving at 795 mph – just over the speed of sound. It got me wondering… how can people experience this speed? The result is this article. Thanks, Bob! Editor’s Note: Another Bob (aka AstroBob) gets credit for helping me refine this article with insights about our common perception of motion. List of cities at 43˚N latitude. Calculations showing speed of rotation at different latitudes on the surface of the Earth. Video showing how to use your video camera to measure the speed of sound – good science fair project! Video by the Exploratorium visualizing the speed of sound in a very creative way – Clapping Speed of Sound. A visualization of the Earth’s surface rotation speed at each latitude. A general audience article discussing how we experience the motion of the Earth.